Can you microwave away glyphosate? Various rumors across ‘net have proposed many ideas about eliminating glyphosate — a cancer-causing weed killer herbicide — from food or beverages. Some of those ideas include using Apple Cider Vinegar or microwaving your food to destroy the glyphosate molecule. But do these methods really work? 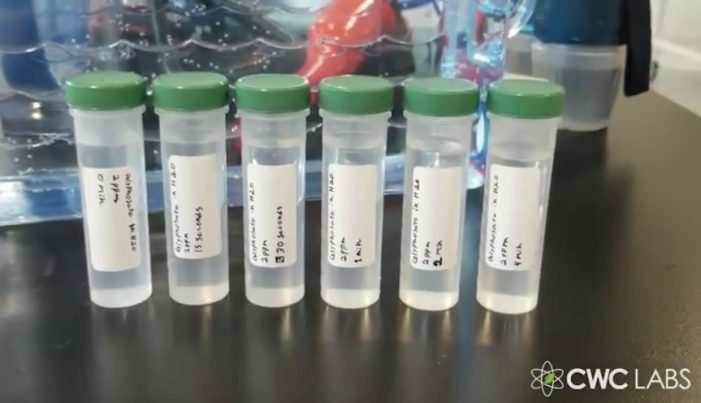 As CWC Labs is the only independent mass spec laboratory in the world that conducts “open source” glyphosate experiments for the public good, we decided to set up an experiment involving microwaving glyphosate-infused water to see what would happen. We recently published results of another experiment that tested the glyphosate removal capabilities of popular water filters. Those findings have been widely shared, and we’ve already decided to expand our testing to a larger selection of water filters. Our full video on the glyphosate microwaving experiment has now been released (see below), and it shows the surprising results from this seemingly simple experiment. The findings are incredibly surprising and will shock most observers. 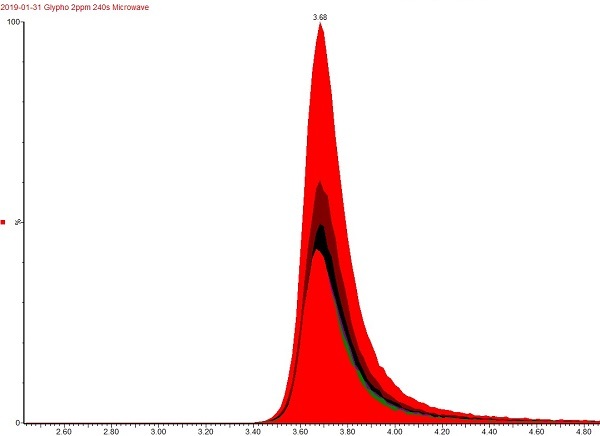 The resulting water was then analyzed via triple-quad mass spec analysis (LC-MS-MS) to quantitate the remaining glyphosate concentration. A clear pattern emerged from the experiment, as detailed in the video below. As the video reveals, the longer the water was microwaved, the higher the glyphosate concentration became! It turns out that microwaving glyphosate-contaminated foods or beverages actually increases the concentration of glyphosate. Consumer-grade microwave appliances do not destroy glyphosate. Despite the extreme toxicity of glyphosate, almost nobody is testing their products for glyphosate contamination. The Health Ranger Store is expanding glyphosate testing to all in-house products and already displays “Glyphosate Testing” certifications on dozens of health products, including organic turmeric extract, non-GMO vitamin C, clean chlorella superfood, colloidal silver mouthwash and much more. Amazon.com and Whole Foods do not conduct glyphosate testing on the products they sell. That’s why Whole Foods products routinely carry glyphosate, a simple, irrefutable fact we are already confirming in our lab. Get frequent news updates on glyphosate at Glyphosate.news. 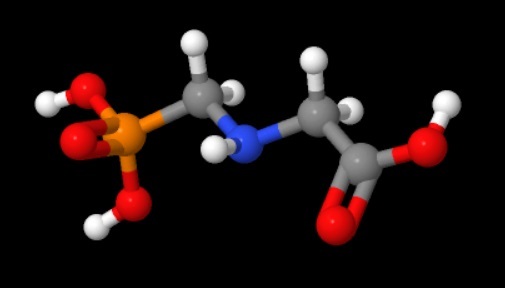 Read about organophosphates and other toxic pesticides at Pesticides.news. View all Natural News channel videos at this link on Brighteon.com. Stay up-to-date on Health Ranger science experiments and published results at HealthRangerScience.com. Visit the CWC Labs website at CWClabs.com.